Skye Gravestones | Eynort Burial Ground, Bracadale. 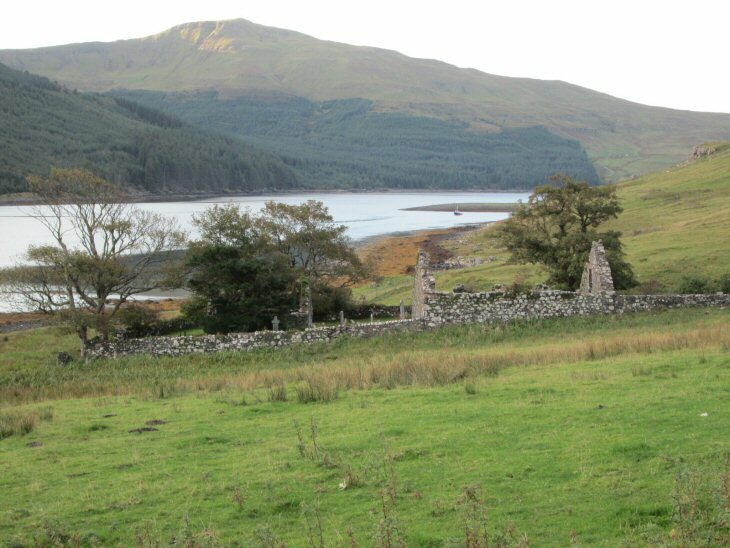 This fine wee burial ground is near the head of Loch Eynort. Access is on foot from the end of the road from Carbost. Burials include families of the island of Soay.